Up until 2012, Arkane Studios was nothing but untapped potential. Dark Messiah of Might and Magic was a decent role-playing game, but it hardly changed the world. In the six years after that game came out, Arkane was better known for its cancelled projects. Steven Spielberg’s ambitious LMNO, The Crossing, and a rumored episode of Half-Life 2 are just a few of the games Arkane was trying to make, while getting regular work helping out on other studios on games like BioShock 2 and Call of Duty: World at War. Dishonored changed everything, though. The breakout original of 2012 pushed Arkane into the majors of big video game development, and now the whole industry is waiting to see what they’ll do next. 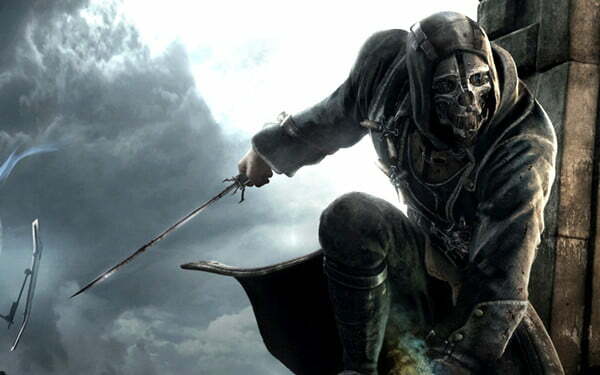 Whatever it is, Dishonored will likely be the last game Arkane makes for the Xbox 360 and PlayStation 3. Arkane posted job openings for five different positions on industry website Gamasutra on Thursday and Friday. All of them are key positions, including Senior Gameplay Programmer, a Senior AI Programmer, a Senior Graphics Programmer, a Tools Programmer, and a Senior Engine Programmer. That last position suggests that Arkane is ready to move onto the next level of PC gaming technology, and whatever the PlayStation 4 and Xbox 720 are ultimately called when they’re released sometime in the next year. The Senior Engine Programmer “will adapt, maintain, and optimize the code for PC and next gen consoles,” reads the description. Will the game be a sequel to Dishonored? Arkane may want to pursue new ideas, but the company’s owner ZeniMax may have other plans. Bethesda PR chief Pete Hines was anxious to discuss the future of Dishonored last fall in light of its strong sales.